Every time I get the two-week reminder for my dental cleaning appointment, I would start flossing my teeth again. I do this not so much because I have forgotten to floss over the last five and half months, but because I want to avoid the chastisement for not flossing from the hygienist. Until, that is, my most recent appointment. Up to this point, I assumed the point of flossing was mostly to keep food out from between my teeth. But this time, the hygienist explained that one of the main purposes was to keep your gums healthy. 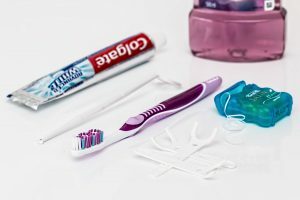 No one had ever told me why I needed to floss, they just assumed I knew why (and didn’t realize I was too proud to ask). With an understanding of the reason for the obligation to floss came the desire to do it. I stopped doing it merely to keep from getting in trouble with the dentist and started doing it because it was what healthy people do. For many Catholics, Mass is like flossing. They may be aware of the obligation to go to Mass on Sundays and Holy Days, but because they do not understand why this is so important it becomes lost amongst many other obligations. For some, the problem resides in the use of the word “obligation.” Speaking of “fulfilling your Sunday obligation” harkens back to days of “pay, pray and obey.” In an age of exalted personal freedom, obligation is a dirty word. Truly, the reasoning goes, God does not care how we worship Him, only that we love Him and are good to other people. God doesn’t want a bunch of rule-followers but men and women that love Him. The problem with this line of reasoning though is that we easily forget why God imposes rules and obligations upon us in the first place. 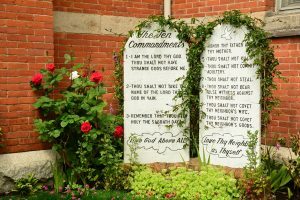 The giving of the Ten Commandments to Moses while the Israelites were reveling at the foot of Sinai was not arbitrary. They were given precisely at that moment because the people are pining for their days in Egypt and are beginning to act just like what they were before—slaves. God gives them the Ten Commandments to show them what they must do to protect their true freedom. It is not because He is some arbitrary rule maker or a Divine Killjoy, but because He wants us to be free. “If you keep these Ten Commandments then you will remain free,” He tells the people. Like the obligation to floss, the obligations imposed by the Decalogue (or literally Ten Words) are things that keep the human person healthy and from falling into slavery to our fallen nature. “the Sabbath brings everyday work to a halt and provides a respite. It is a day of protest against the servitude of work and the worship of money” (CCC 2172). But why Mass? Why can’t I worship God in some other way? Once we understand why God commands us to worship Him, the answer becomes clearer. In truth, God does not need our worship, instead, it is us that needs to worship Him. He has made us to appreciate His infinite goodness and we are only truly fulfilled when we do that. Worship is the way we do that. But not any worship will do—this is the lesson of the Golden Calf. There are certain forms of worship that show forth His goodness truly and certain forms which don’t. Worship is not so much us going up to God, but Him coming to us, showing us how He should be worshipped. The Mass is the divinely revealed form of worship. God does care how we worship Him or else He would not have gone to such incredible lengths to give it to us. It is the Mass that Our Lord so eagerly desired to give to the Apostles (Lk 22:15) and that received His stamp of approval with His last word from the Cross. It is the most perfect prayer to God, because it is God Himself Who has written it with His blood. Seeing the Sunday Obligation in this light opens our minds to why Mass participation is the sign of a healthy Christian. Christ has left us the Mass as the way His once-for-all sacrifice on Calvary is made present to us, here and now. He gave this to the Church so we can actively participate in that same sacrifice. Our attendance at Mass tells the Father that we both need and want the fruits of that sacrifice here and now. Mankind’s most perfect act of worship feeds those present with eternal life. If you are looking to get something out of Mass, you may be disappointed. But if you go with the expectation to get Someone, then you will never be disappointed. In a world of noise and distraction, we are absolutely assured we will meet Our Lord in the Mass. It is He Who awaits us at the end of the Communion aisle. Preaching about “fulfilling your Sunday Obligation” during Mass is literally preaching to the choir. It is like my hygienist telling a group of dentists to floss. And like my hygienist who was prepared to preach the good news of dental floss, we need to be prepared to preach the Good News of the Mass. We are told to “go forth” at the end of the Mass because it is assumed we will take the fruits of the Mass out into the world and bring more people back with us. Let us go forth and bring someone to Mass with us this week. Amen! So true. And so important that we all realize why we are sent forth from the Mass.